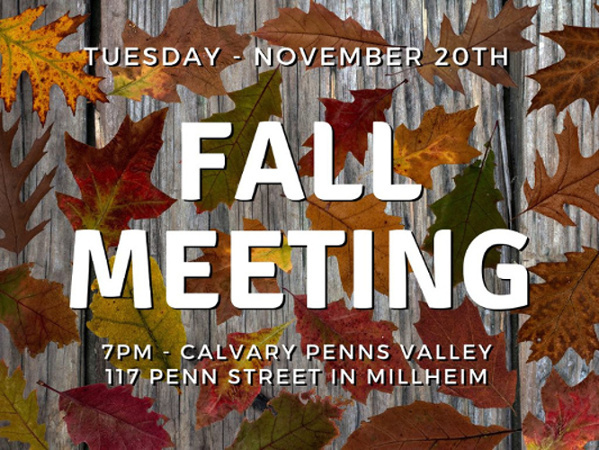 The Penns Valley Conservation Association seeks to foster an engaged community that preserves our rural way of life while protecting our natural environment. 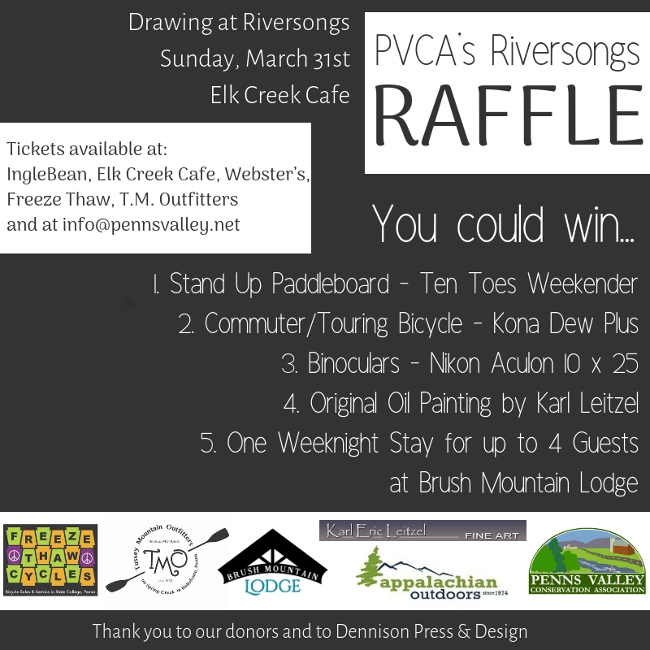 PVCA’s Mission is to serve as a steward for the natural and cultural communities in the Upper Penns Creek watershed, seeking to preserve and honor the agricultural roots of Penns Valley by protecting and conserving its waters, farmlands, forests and rural heritage. PVCA is a 230 household member organization. We envision an engaged community, where growth is balanced with support for healthy natural systems that foster the local economy. Our valley has dark night skies, clear streams, healthy forests, prosperous farms, and local jobs. If you are interested in PVCA news – here and now – see our Facebook page. For more in-depth information about our environment, our community, and our organization, continue browsing. Welcome Center – the level you are on, provides highlights and an overview of PVCA function, activities, and results. Front Office provides details of our projects and activities. Back Office provides working materials and functions for PVCA members responsible for specific areas of activity. Access to this level is restricted. See Site Map for a structured view of the site with links to areas. It serves as a Quick-Start Guide and a road map of the site’s overall structure. Or, continue browsing by scrolling down or following the menus, above. The Stories included here provide snapshots of some of PVCA’s activities, values, and people. 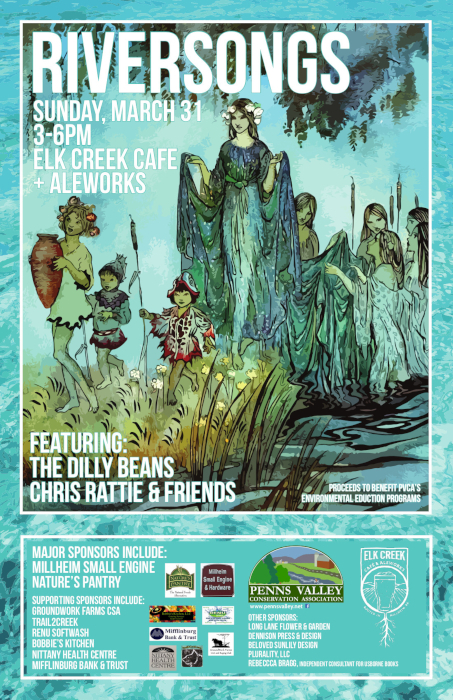 They range from a day on our signature stream, to a social and cultural celebration, to a story of local artists enjoying and using the landscape both as inspiration and subject matter for their art. They also include accounts of some of our steam bank restoration work and our efforts at environmental education. We hope you will read these sample stories to get a feel for our area and our organization. More comprehensive and detailed accounts about PVCA can be found throughout the site. Penns Creek . . .
‘Wow, look at all the bugs, I’ve never seen anything like this!’ my guest exclaimed. 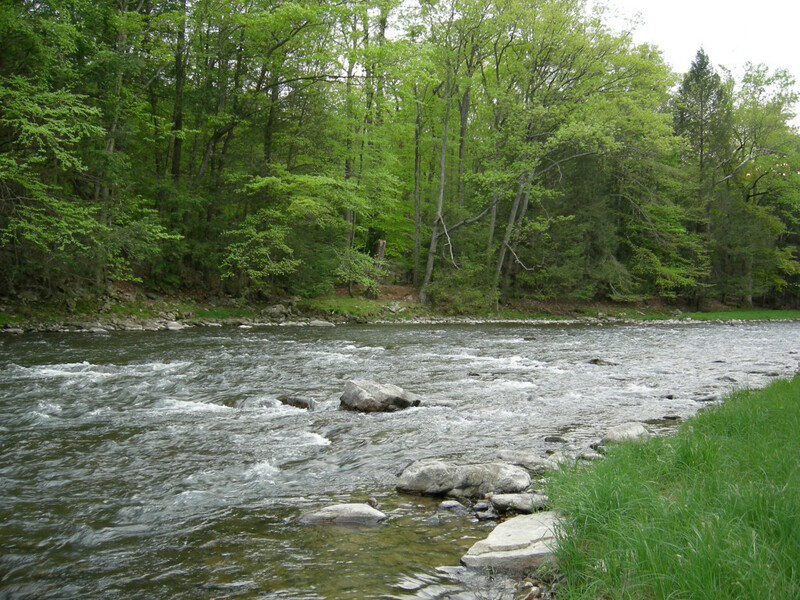 That early evening after Memorial Day we were standing on the bank along Penns Creek near Ingleby, fly rods in hand, watching thousands upon thousands of small hummingbird -size insects swarming in the tree tops above us. The outsized white and black insects, ‘spinners’ to fly anglers, swirled and whorled overhead in an ever descending cloud. It was a perfect evening for watching and taking part in the Green drake spinner fall. A true wonder of Nature if there ever was one. ‘Yeah, Penns Creek is a bug factory.’ I replied. ‘Quill gordons, Hendricksons, March browns, sulphurs, Green drakes, Slate drakes, all of them are found in Penns. This stream has every mayfly hatch in the East, not to mention three or four kinds of stoneflies, probably a half dozen species of caddis flies too. The trout seem to appreciate all that aquatic life, too. Anglers come from all over the country to experience this. And there are not very many streams where these mayflies live.’ I explained. As the sun slipped lower in the evening sky, the vortex of dancing spinners descended lower to the water. Their seemingly random tree top motion now took on a more ordered form as they began to fly upstream. The cloud’s movement upstream was accompanied simultaneously by many of the individual spinners bobbing up and down. The female spinners were getting ready to deposit their eggs into the water. Another generation set to begin the cycle anew. A thunderstorm the day before had washed a good deal of Penns Valley’s valuable topsoil into the creek, transforming its normally opalescent green color into a much darker hue of brown. ‘Too thick to drink, too thin to plow’ I thought, chuckling to myself. I wondered if the stained water would keep the trout from rising to the feast floating on the surface above them. It didn’t take long for my question to be answered: trout were making audible slurps as they broke the water’s surface. We stepped into the fast flowing water as wave after wave of spinners flew around us. So close and so numerous you could hear the fluttering of their wings as they made their way upstream, descending ever lower to the water’s surface. 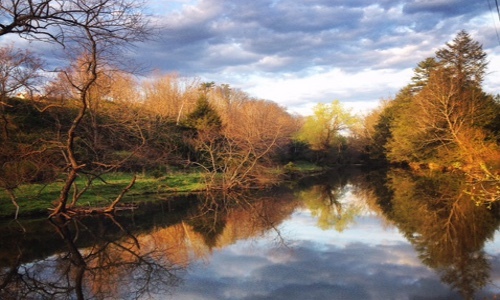 ‘I can hardly see the other side of the creek now…’ my guest said with an air of amazement and disbelief. harder to see. What was plainly visible were all the anglers in the creek. 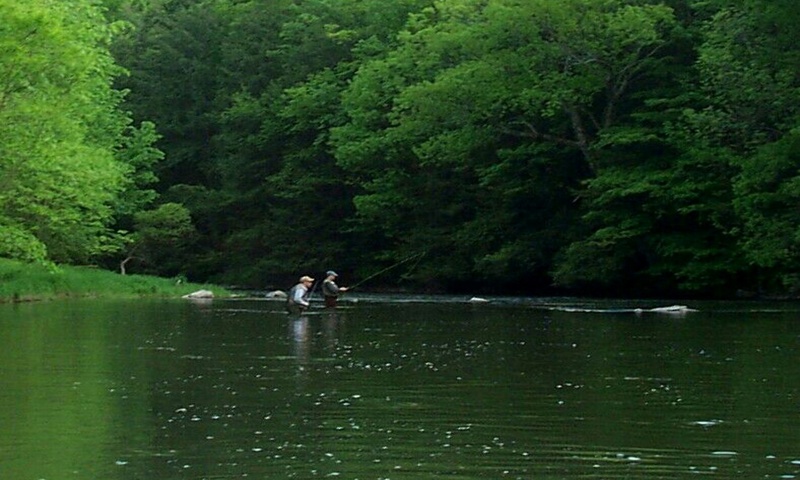 Upstream, downstream, in the middle, every 25 yards or so there seemed to be an angler casting in a graceful arc to trout swirling at the surface of the water. What was going on here? Why should such a humble insect, albeit larger than one might expect, cause so much excitement? That evening on Penns Creek we were witnessing the last stage in the amazing life cycle of a creature whose ancestors have been on the planet for 300 million years. 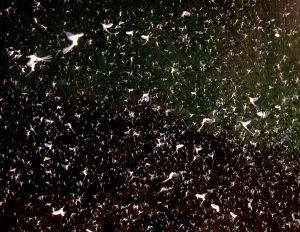 Eggs hatch into nymphs, nymphs hatch into adult mayflies, adults transform into spinners, spinners mate, lay eggs in the stream and die. If only a few of the nymphs transformed into adults there would be little notice. 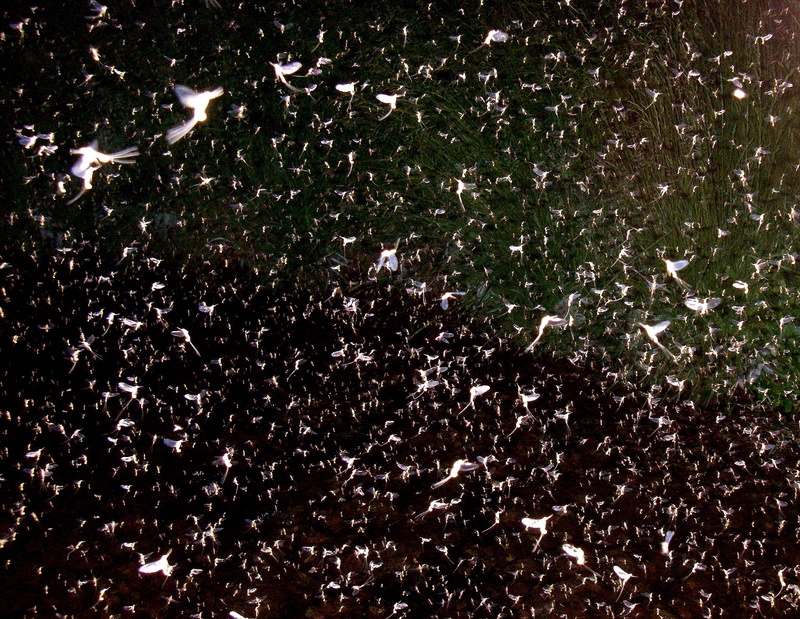 Mayflies however, hatch into the adult form by the thousands simultaneously. 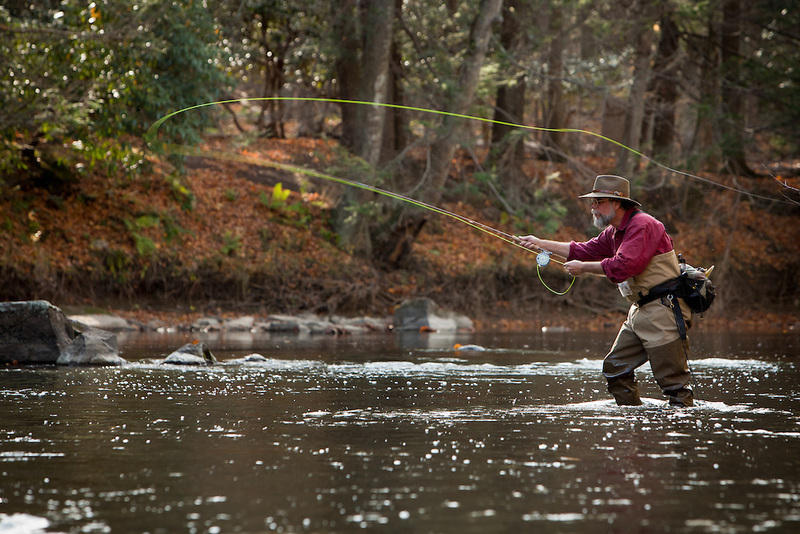 Trout feed ravenously on the hatching mayflies and that’s what gets the attention of all those anglers. Perhaps the real importance of the massive Green drake hatch is its connection to water quality. 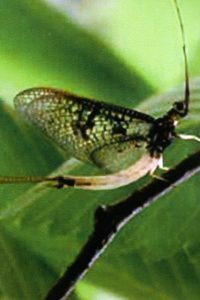 Mayflies are not tolerant of polluted water. They are found only in streams and lakes that are relatively clean and free of contaminants. 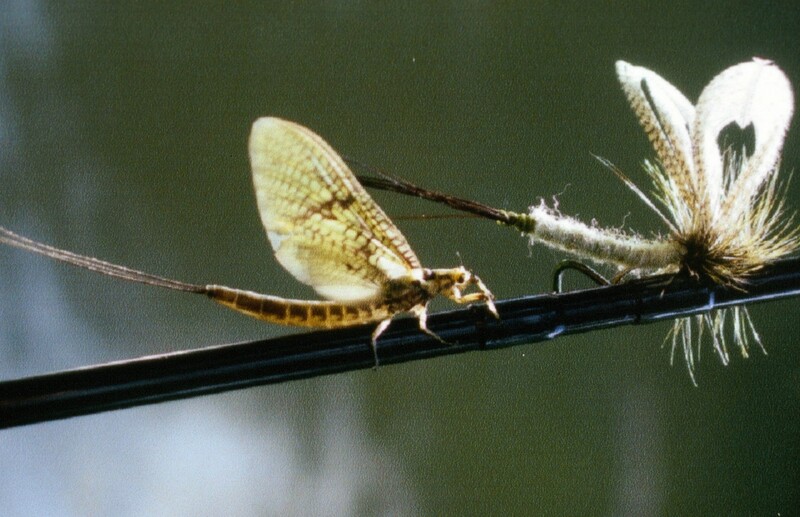 Because clean water is essential for their survival, mayflies can be thought of as an indicator species. Wherever they are found you can be certain the water is quite clean. When mayflies are scarce the water is somewhat polluted. When no mayflies can be found that is a sure sign the water is seriously polluted. These creatures may be humble, but they convey a powerful message. The word was out – the bergamot was in full bloom! We went as soon as we could, which was late evening, and arrived at our favorite spot up on top just as the sun was sinking below the horizon. The field glowed momentarily in the low sunlight, bathing our view in light that turns everything to gold! Just as suddenly it was cold and getting dark fast. We hurried down, vowing to come back soon. 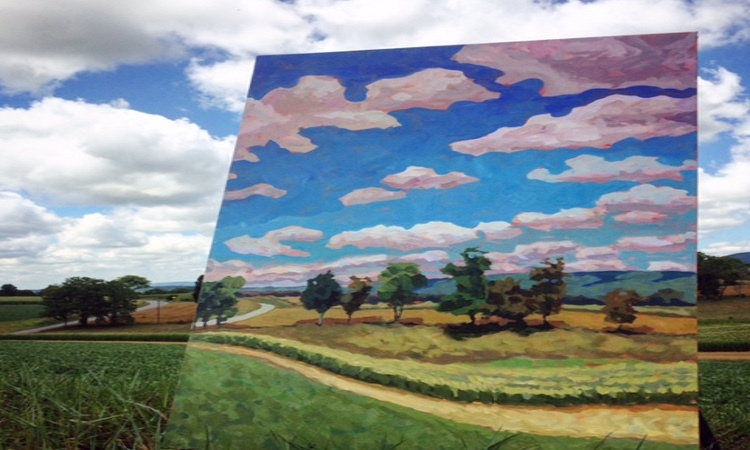 We were rewarded with a lovely summer day and set off with canvases, paints, easels, water and lots of enthusiasm. The gator was piled high, and a blessing since we have not mastered the compact plein air painting kit we should be using. We’d been here before – when the Echinacea and Queen Anne’s Lace were blooming earlier in the spring, when things were golden and fragile later in the fall. It had a beauty we treasured whenever we visited. 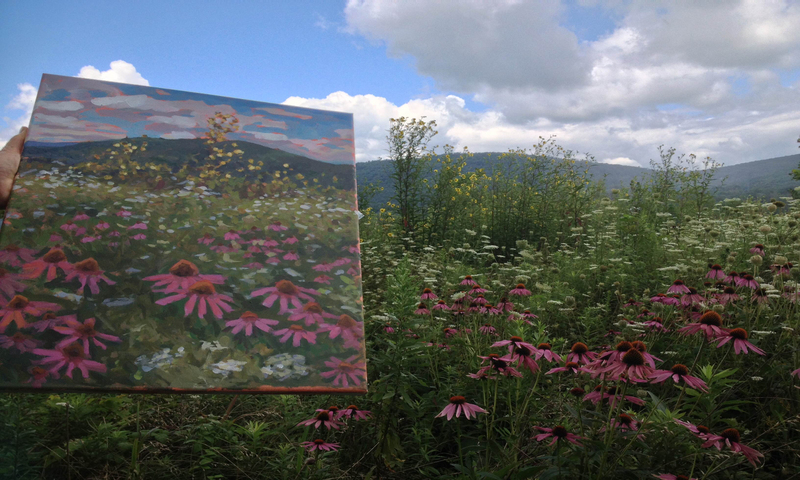 But this was our first painting expedition when the bergamot was blooming! We each chose a spot and set up as quickly as we could, time was precious, the views gorgeous and the sky full of amazing clouds, changing moment by moment. 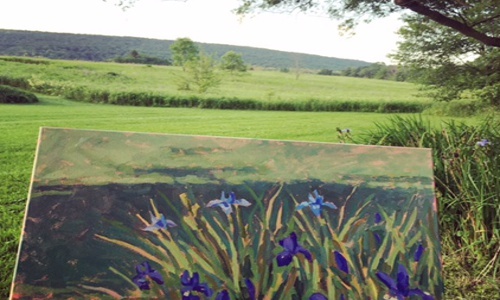 Beginning a painting is always a challenge – what to include, where to begin and end. Paint starts flying onto the canvases, looking totally abstract and without an anchor. Look up at the landscape, capture something that is next, glance at the palette and mix a color, dab, dab, dab it on the canvas. Up and down, up and down. We joke that we look like chickens as our heads bob up and down. Time flies. We are totally absorbed. After awhile we get up to stretch, walk around, check out each others’ progress. This is the point where a painting seems hopeless. What a mess! Soon we are back at it with new resolve and a fresh vision of both the view we are seeking to capture and what we’ve got on the canvas so far. There is nothing to do but to forge ahead and keep painting, regardless of how we think it is going. 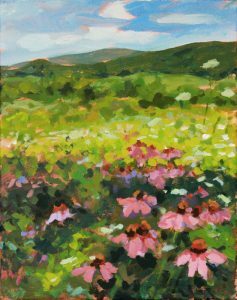 The near view, the spectacular meadow with layers of bergamot, and a few coneflowers still hanging around, the middle distance with fields and trees, and the far view of mountain ranges cascading down – a view both intimate and majestic all at once. Our perennial conversation about greens comes into play. There are so many greens in the summer landscape – from brilliant light lime – almost yellow, to deep dark almost-blue. You can buy green paints but they are never even close – it is easier to mix with yellows – light lemony, medium dirty, dark orange-y yellows, and blues – dark or light. Adding white when needed and a complementary color to tone them down. Natural greens are incredibly difficult to capture with paint, but the attempt is never ending during the summertime… And then there is the sky. The light on the landscape changes gradually, but the sky changes frantically, clouds sweeping across our vision, morphing from shape to shape. How to begin to capture that??? At some point it has to be done in a fury of activity and a flurry of paint. Birds chirp, call, and flash – “Did you hear the goldfinch?” “Was that a Raven?” Insects buzz around the flowers and around us. Once in awhile one lands on our canvases and gets stuck! If you look closely, you may even see one there that didn’t get noticed before it dried into the paint. It is getting hot, the sun is intense. The cool breeze is a welcome delight and we move toward the shade. A couple of hours pass in a frenzy of brushstrokes – hundreds and hundreds – each with a slightly different color of paint, applied again and again – hopefully in a way that captures the mood and feeling of the glorious day and superb view. Suddenly our time is almost up! We step back to take in what we’ve done and to look afresh at the view. Impressions, for sure. 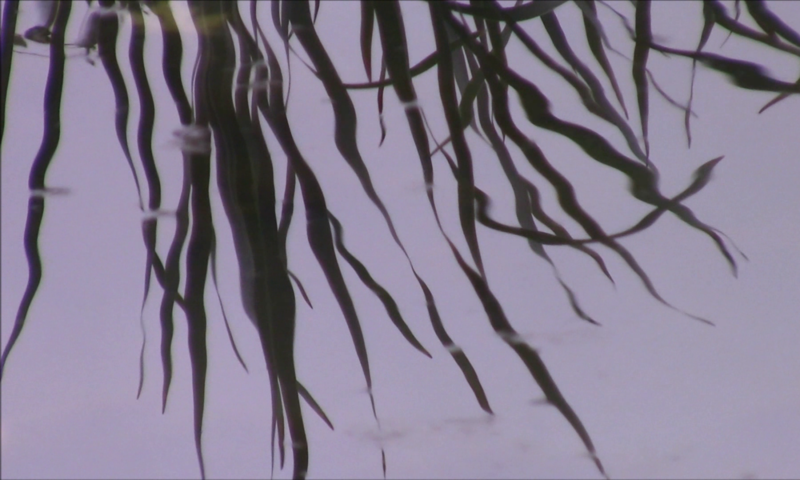 Impressionistic? Maybe not! But whether we captured the feel of the scene — maybe with a touch of realism, or maybe a bit fanciful – that’s our goal. A few last minute touches to try to remedy anything that jumps out as incomplete or not reading quite right. Take a quick photo. 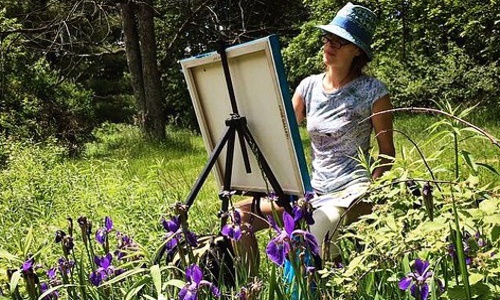 Then a frantic clean up of brushes, packing of bags, disassembly of portable easels and piling everything back into the gator – being careful of the canvases and the fresh paint. And a thrilling ride down hill and back to the car. A glorious morning!! How Sweet it Was . . .
We started with a question: “What is in that pancake syrup that you buy at the store?”. We thought starting with the number of ingredients would highlight the solo ingredient in pure maple syrup–maple sap. Some of the students were surprised to find that the butter flavored pancake syrup did not even have butter in the ingredient list. This conversation started the discussion the reading labels and understanding nutrition. 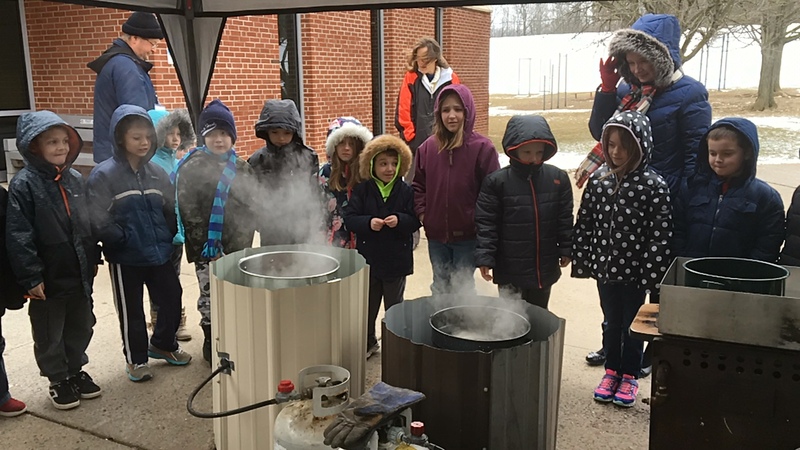 Many of the students have had pure maple syrup (and some were even home producers) and they all love the taste but were not familiar with the process of turning maple sap into maple syrup. From this conversation we found and tapped four red maple trees and one birch (as a comparison). 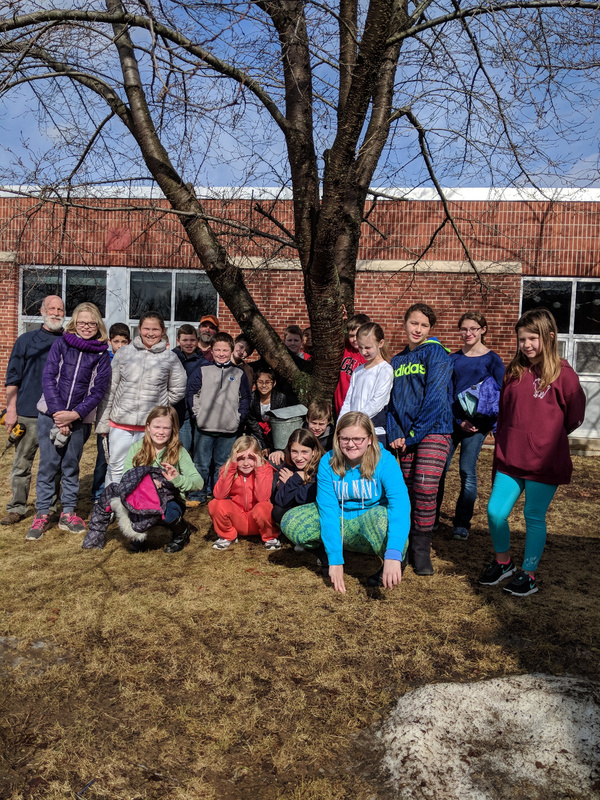 The students helped to identify the trees and were in charge of collecting the sap. Farmer Dan brought in several spiles and we used a variety of collection methods — collection bags, collection tubes to a large container and the traditional covered pail. Tapping the trees brought out a variety of great questions like “does tapping hurt the tree?”; “how many taps can be used on one tree?”; “how much sap do we need to collect?”; “why maples?” and “can we taste some?”. 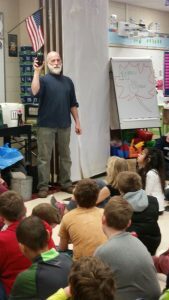 After the students got a chance to taste the raw maple sap, which they found faintly sweet, we worked on answering the questions. We talked about how all of their questions were related. Maples, especially sugar maples, have a nice flow of sweet sap and have a 40 gallons of sap to 1 gallon of syrup ratio. Other trees would have a different ratio, are not as sweet, or do not flow very well (as we found out with the birch–almost none). This kinda stopped them in their tracks. “40-1, that’s a big ratio” however they began to understand why maple syrup costs quite a bit more than their multi ingredient pancake syrup. 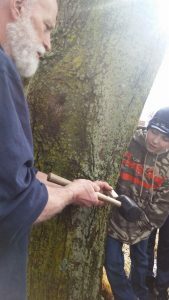 We also talked about how a tree will heal itself after we took the tap out at the end of the season, however there is a limit to the number of taps to use based on the diameter of the tree. Most of the trees we used were over 23 inches in diameter so we were able to put in 2 tapes per tree. Farmer Dan also had a special tool, a refractometer, that measured the percentage of sugar in the sap. 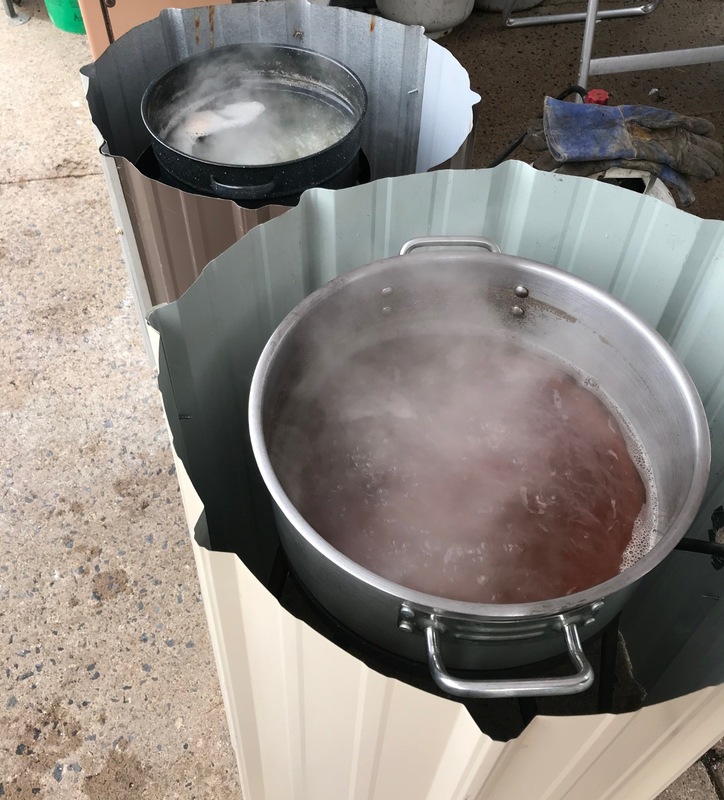 We determined that the raw sap was around 3% sugar and in order to turn the sap in to maple syrup the percentage increases to about 60% through boiling the sap, evaporating the water and caramelizing the sugars. 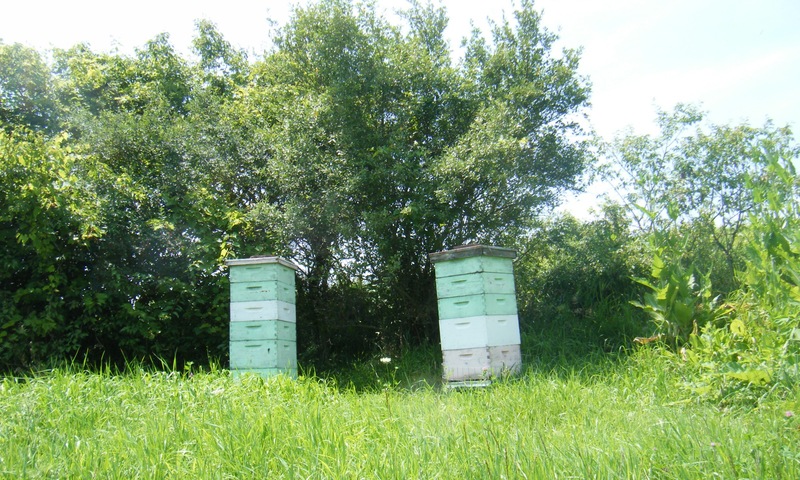 The time of year for the collection is also important because as the days and nights get warmer and the trees start to bud, the sap becomes bitter and milky. 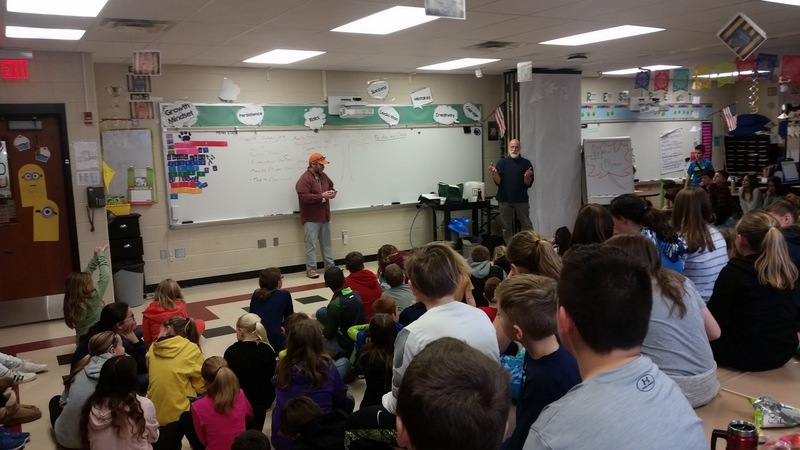 Overall the students collected nearly 40 gallons of sap. 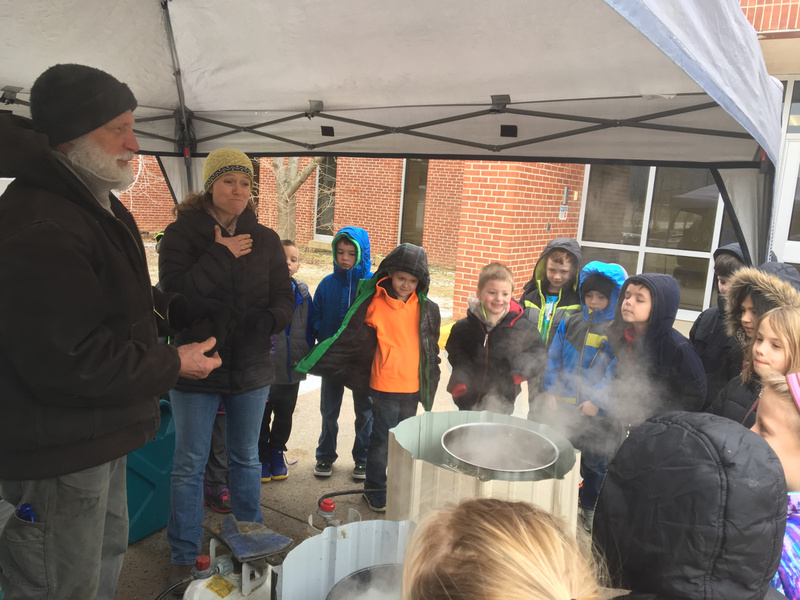 The program culminated in an all day maple sap boil. This brought out most of the school throughout the day to sample some of the end product and watch the pots boil. It was quite a spectacle. Students huddling around the tent (it was a cold day) to watch the process happen before their eyes. Next year we are making pancakes! In Minnesota in the late ’90’s, I had the chance to get to know a group of farmers who had decided to make a big management change on their operations. 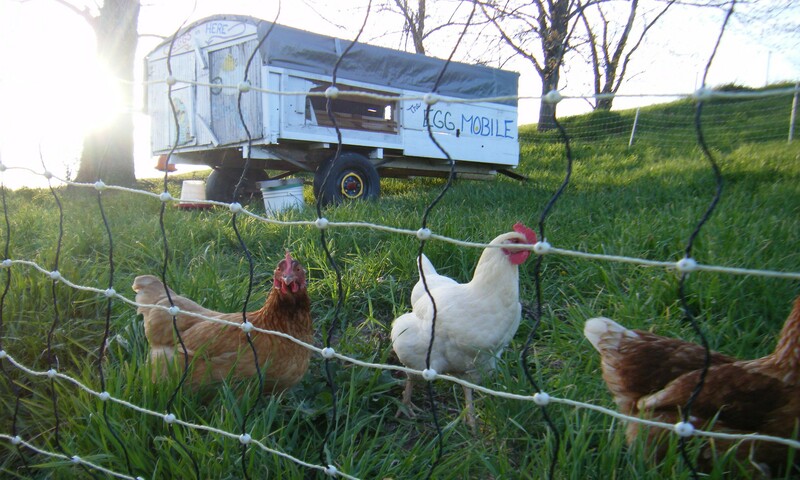 They went from confinement-style dairies with row crops and hay fields, to grazing operations. Instead of spending their day on their tractors, growing and hauling in feed to the herd in the barn, they were now walking their pastures and moving fence twice a day, to give their animals access to fresh grass. 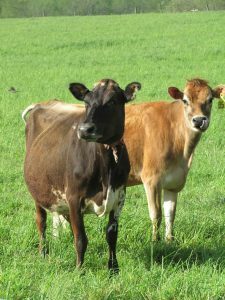 To a person, they spoke of the improvement to their quality of life, for themselves as well as their cows. And another thing happened as their feet traversed their pastures each day: they had time to observe each seasonal change as it happened, through up close encounters. And they all became birders! With their farms back in a system that mimics Minnesota’s eco-history of tall grass prairie and roaming bison herds, native wildlife returned to habitat that once more welcomed them. Bobolinks and meadowlarks nested on fields that had been plowed for generations, but were now back in healthy grassland. And the farmers learned to set aside areas from grazing and hay making until after the grassland nesters had finished raising their young. 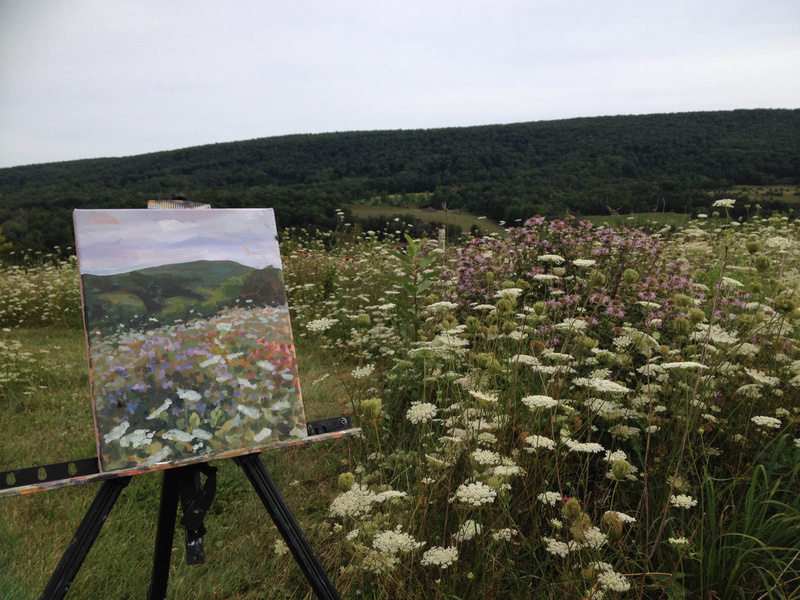 When I moved to Penns Valley in 2001, I’d sketched out a vision of a landscape and its community in my head that I wasn’t quite sure existed in the real world. I’m a country person at heart, and had worked farm jobs around the country, while accumulating a saddle bag full of opinions about food, environmental protection, farms and farm policy, human nutrition, and local economies. I loved Penns Valley from the first visit. Farmland, fence rows, creeks and woodland patterned the Valley, while the mountain forests looked like they might house black bears, bobcats, and pileated woodpeckers. It seemed like a place where my love for farming and home-grown foods could exist in harmony with clear-flowing creeks and abundant wildlife. 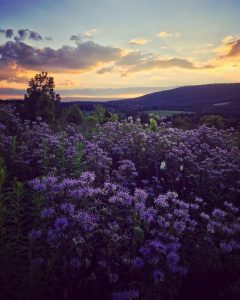 Penns Valley holds many gifts, as anyone who spends time here will soon find. One of the earliest to please my farmer-soul was the presence of family-owned farms that were already growing healthy food for local eaters. Local communities thrive when businesses and their customers live in the same place. Dollars circulate locally, support goes in both directions, and business owners are community members, with a stake in seeing their community thrive. 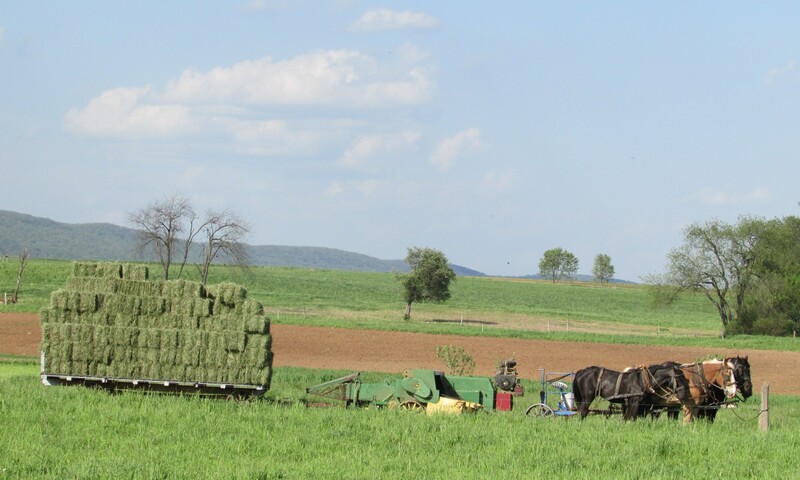 Many of the Amish farms in our area are diverse operations, flexible enough to weather the ever changing market place and economic environment. So many experienced growers in one place seemed like an opportunity to expand the already rich local food options. 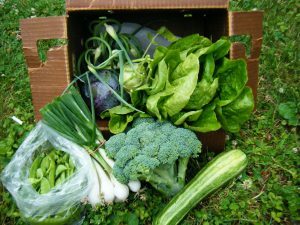 With help and advice from many community members, a group of farmers and I started a loose marketing network we call GroundWork Farms CSA and Buying Club. 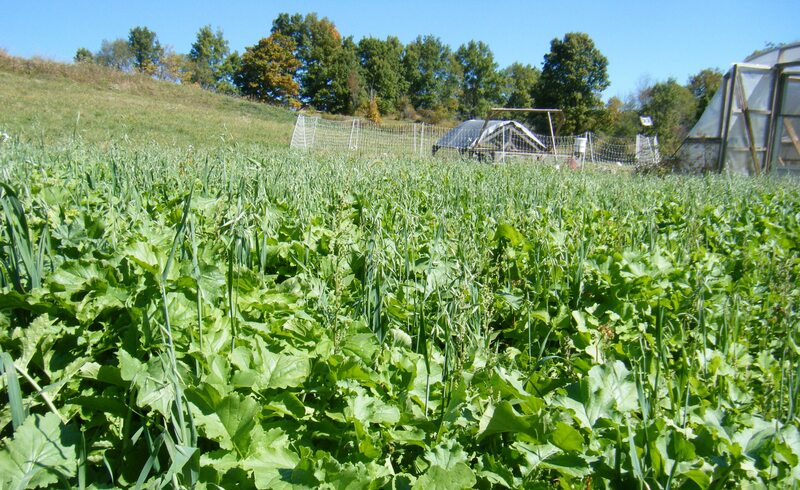 The reasoning was that the Penns Creek Watershed’s food growing potential abounds, and why not work to connect family farmers with local eaters throughout the area, to everyone’s benefit? Our goal is to provide as much food locally as we can find, and to make it as convenient as possible for our customers to avail themselves. And while we’re at it, we decided that the local fare we provide should be raised in a manner that protects our shared natural resources of soil, air, and water, and should be raised on farms friendly to wildlife. Animal products should be raised humanely, using practices that allow for the natural behaviors of each species. And by stewarding soil health and focusing on natural diets for our livestock, we can strive for food that’s nutritionally dense as well, bringing our community of eaters into the circle that includes healthy soil, water, farm animals, wildlife, and humans. In his seminal masterpiece A Sand County Almanac (1949), wildlife ecologist Aldo Leopold advocated a “land ethic” relating people to “soils, waters, plants and animals, or collectively: the land.” This important concept guides PVCA’s stream restoration and reforestation in collaboration with many private landowners in our watershed and a host of local, state, national, and private sector agencies and organizations. Ecosystem health and functionality depend on native species diversity. 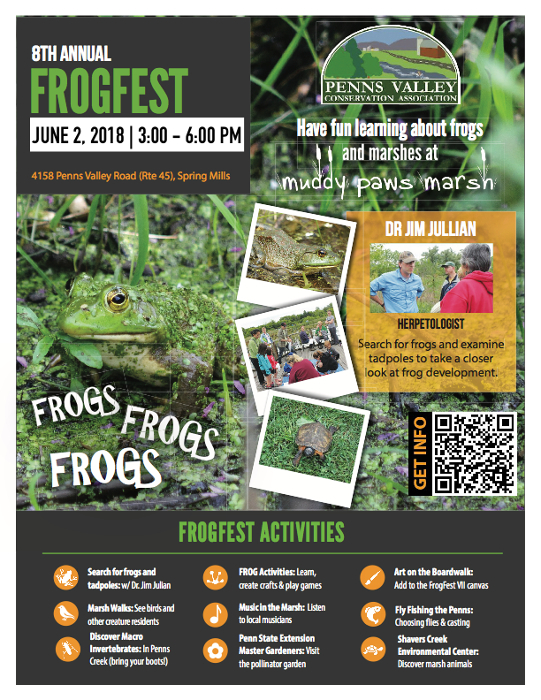 In Penns Valley, native species diversity has been drastically reduced over 200 years by agriculture, large-scale logging, and other human economic manipulation of the environment. So, the first step in restoring streams and landscapes is to assess biological diversity and physical environmental conditions. Biologists classify streams capable of supporting natural reproduction instead of hatchery-raised fish. 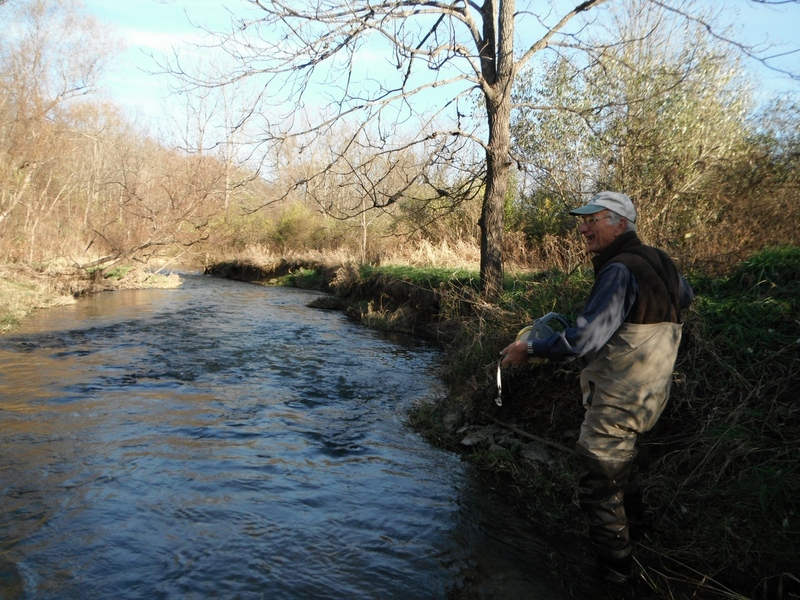 In the Pine Creek tributary shown here, wild native brook trout and six native forage fish species were identified. 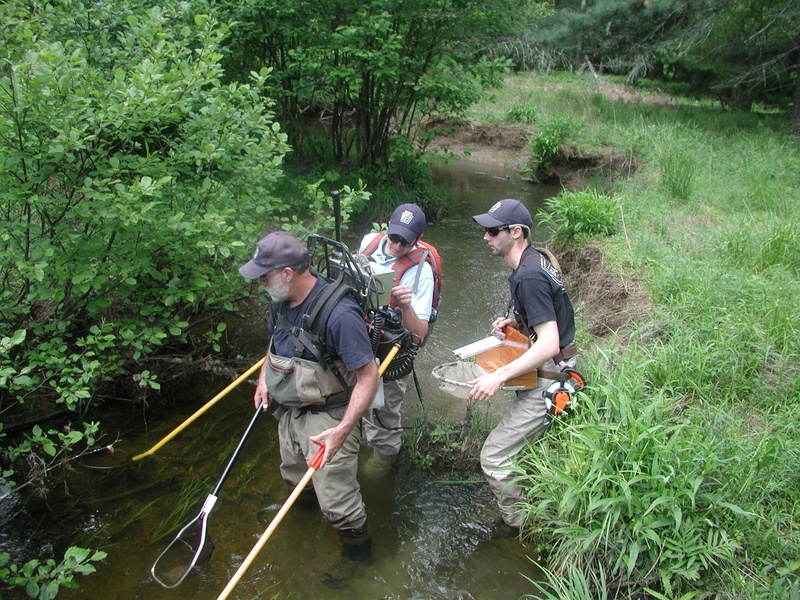 Biologists also assess and rank physical habitat conditions using a 10-parameter tool to prioritize stream restoration sites and to design appropriate habitat improvement practices. PVCA and the U.S. Fish and Wildlife Service work together to improve habitat for all life cycle elements for fish and other wildlife. 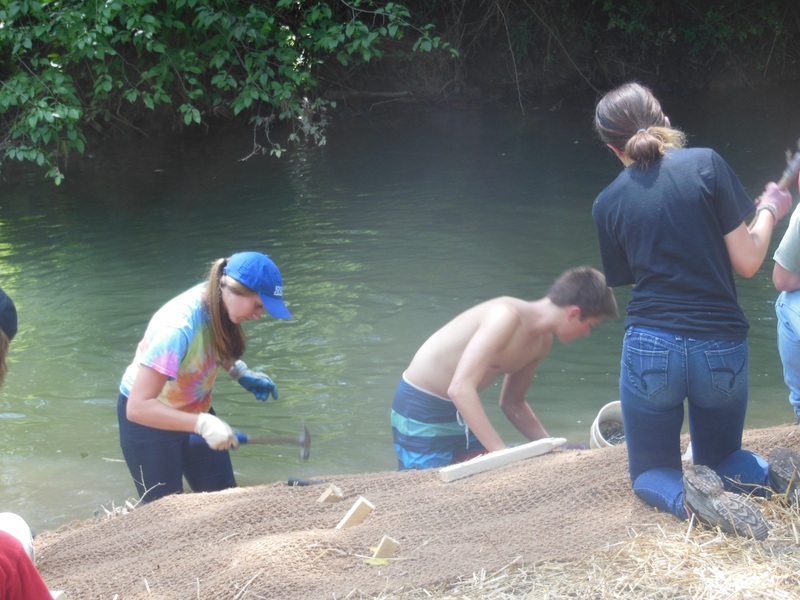 Joint projects improve reproductive spawning habitat, security cover for juvenile fish, maintenance of a year-round stream water temperature regime at optimum seasonal levels, and a high diversity food web of aquatic insects. 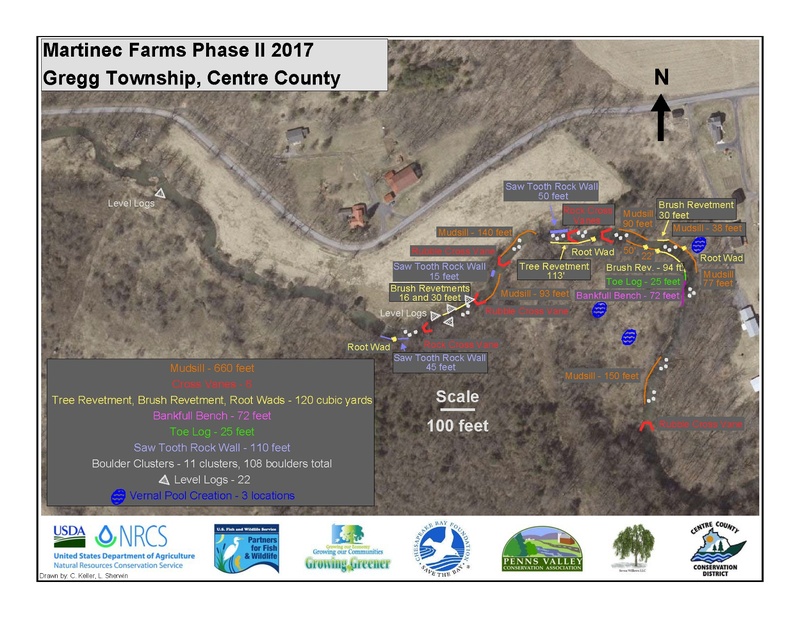 In a typical project on a farm located near the headwaters of Penns Creek, invasive shrubs were cleared from a stream’s banks by construction equipment. 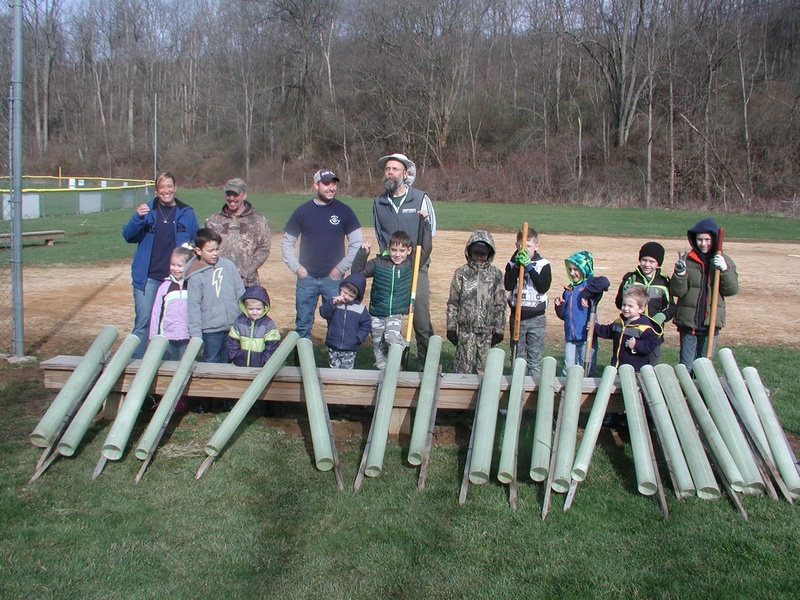 A riparian buffer of native trees was planted. Three vernal pool wetlands were also created to enhance habitat for salamanders and other amphibian species. 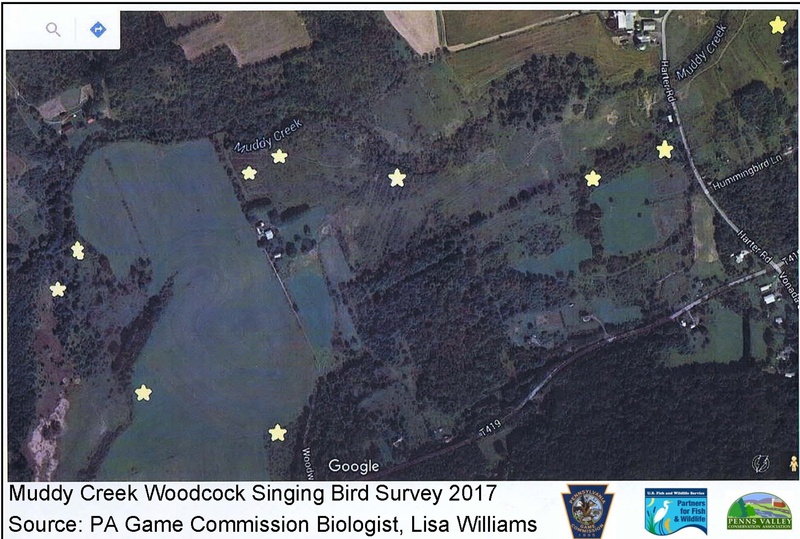 According to Jason Detar, PA Fish and Boat Commission Regional Fish Biologist, who surveyed the stream in 2017, this restored section of the upper Penns Creek has “more than three times the wild trout biomass as the unrestored section.” The restored stream was classified as a Class A Wild Trout stream. 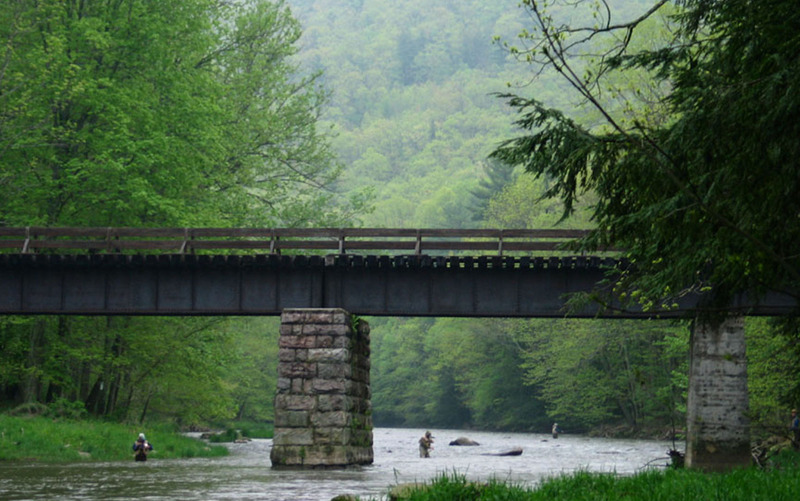 Only 3% of Pennsylvania waters achieve Class A designation. Restored fish and wildlife habitat on a farm. The loss of species diversity and abundance affects migratory songbirds, game animals and birds, resident birds, reptiles, and amphibians. Wildlife that depends on early successional or “young forest” habitats of dense thickets for reproduction, food, and security is most affected. 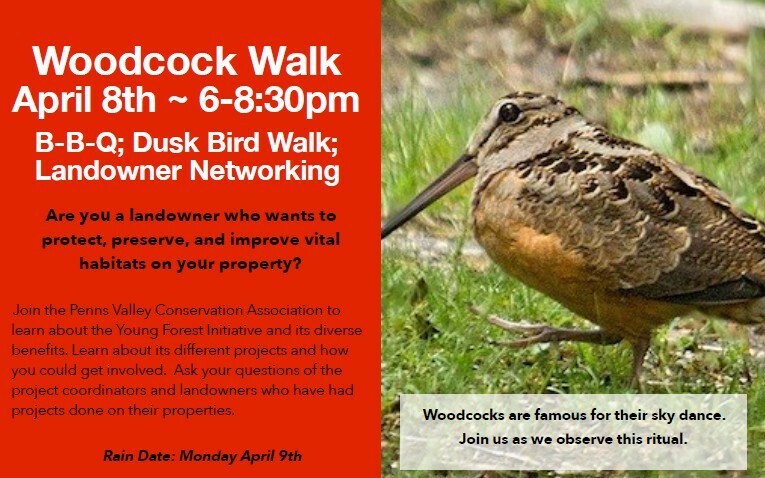 The American Woodcock, for example, needs open, grassy courtship “singing grounds” where the male performs an acrobatic flight display to attract a mate. Further, woodcock require a mosaic of nesting and brood rearing habitat in thickets near the singing grounds. 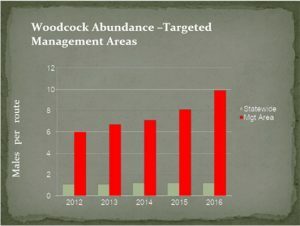 Woodcock populations have declined by 1-2% annually over the past 25 years; other “young forest-dependent” species like Golden Winged Warblers have declined even more. 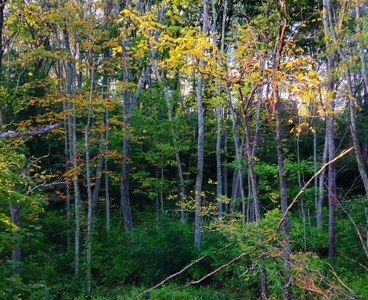 The Wildlife Management Institute lists over 80 wildlife species that benefit from young forest habitat improvement. PVCA has utilized closely spaced, high-density plantings of native shrub species to quickly create habitat. Alder, grey dogwood, and aspen are prime examples with others that also produce human food. 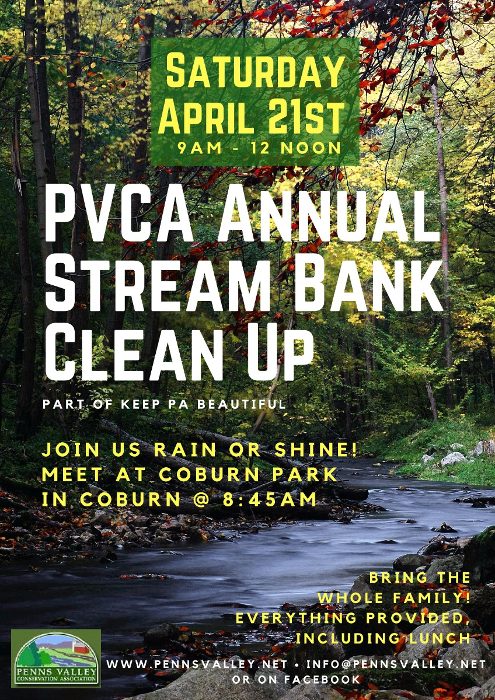 PVCA’s work in the Upper Penns Creek Watershed will never be completed, but we are making noticeable progress which we hope and plan to continue. The PVCA Newsletter began in 2005. Published seasonally, it has appeared from two to four times a year, depending . . . The current Newsletter is displayed here. Issues back to 2016 are available, below. 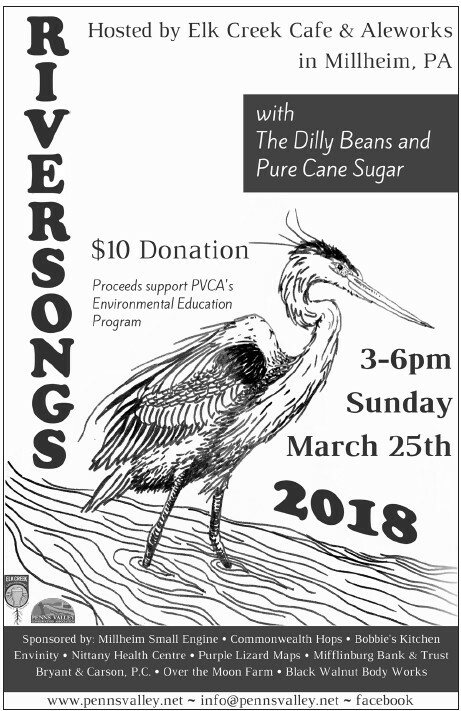 Other PVCA publications are available through the PVCA Community Outreach Committee, which may be accessed through the Organization: Detailed menu, above. 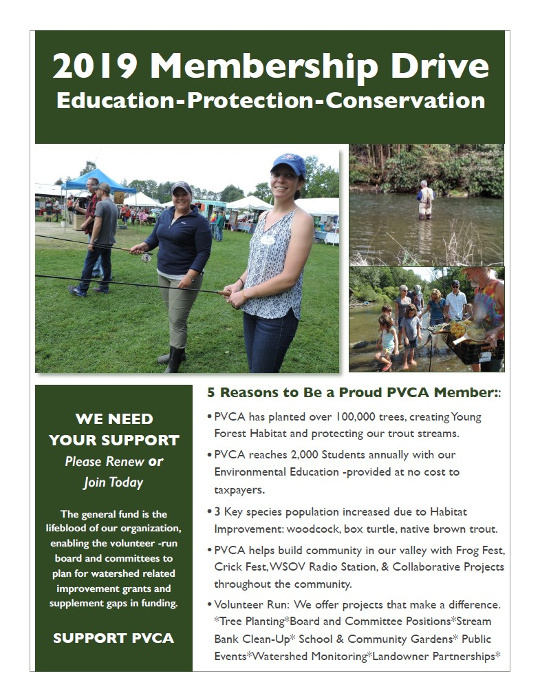 PVCA Environmental Educator and Volunteer. We are pleased at your interest in becoming a member of PVCA or renewing your current membership. PVCA’s supporters share a practical, yet visionary commitment to preserve the habitats that all of us, people and wildlife, depend on. Supporters come from all over the country as well as from Penns Valley. 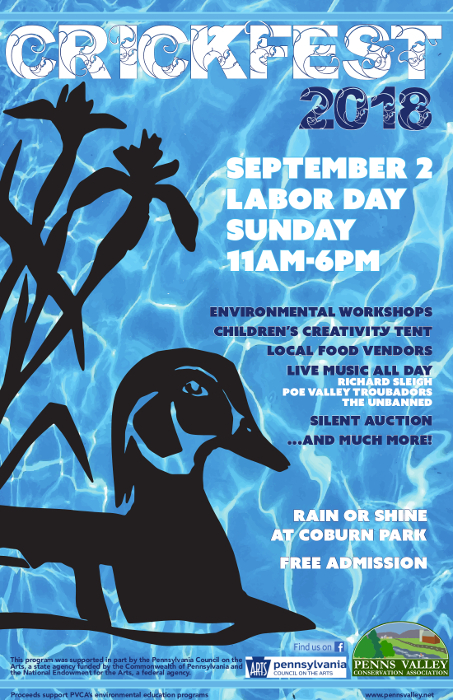 They include hunters and fishermen, bird watchers and native plant enthusiasts, farmers, local business owners, valley residents, and visitors to the region. You can participate by becoming a member of PVCA, and by volunteering to help with our many ongoing projects. We offer several kinds of memberships: individual, family, and business or sponsor. You can register or renew as a Member or Family, below. You may register as a Business or Sponsor by visiting the Sponsor Page. For either, you can also decide what level of financial support you wish to provide! Please open, print, and mail a completed membership form with your check. Note: this is a two-page pdf file. Page 1=standard forms, page 2=business forms. They print triple, so you’d be helping the cause if you pass your extras on. Or you can join / renew online with debit, credit, or paypal. Click the yellow button below & click on”price per item.”. Enter your amount then continue. You will be transferred to the PayPal site where you can pay by PayPal account or by conventional credit card. Please check this box when you fill out your form. It enables us to mail you a thank you letter for tax purposes.